Hyde is both a patient and a former employee at the Central Alabama Veterans Health Care System in Montgomery. He supervised employees who took Vets for treatment outside the VA. Hyde was fired after six months for unspecified misconduct. He is among dozens of people who say they faced vicious retaliation when they tried to improve conditions there or hold managers accountable. "If you say anything about patient care and the problems, you're quickly labeled a troublemaker and attacked by a clique that just promotes itself. Your life becomes hell," one longtime employee at the Central Alabama Veterans Health Care System, or CAVHCS, told NPR. Like many we interviewed there, she requested anonymity out of fear for her job. The problems are especially acute at hospital complexes in Montgomery and Tuskegee, Ala., which are part of a regional network known as VA Southeast Network VISN 7. The Department of Veterans Affairs divides Veterans' health care into 21 geographic regions called VISNs. Workers say the retaliatory tactics run the gamut from sophomoric (a shift manager pouring salt into a subordinate's coffee cup) to hard-to-fathom (isolation rooms used as psychological coercion) and more. "There's no accountability," Hyde says. "And it's gonna be a never-ending cycle here until someone steps in and starts cleaning house from the top and putting people in who care about the Veterans." VISN 7 leads the VA in the number of whistleblower complaints per Veteran served. The VA itself leads all federal agencies in the number of whistleblowers who say they've been retaliated against — up to 40 percent annually, according to federal testimony. Two nonprofit groups that support whistleblowers say the number of retaliation cases they see from the VA is far higher. Counter-investigations that blamed the employees for creating a "hostile work environment" or other vague and often unspecified charges. Why are conditions so bad in Central Alabama? Watchdog groups and affected workers believe it's a combination of weak, inconsistent enforcement of whistleblower protection laws, a senior managerial culture that practices and condones bullying, and a VA system that too often sends whistleblower grievances right back to regional managers who are often part of the original complaints. "I hadn't been there [Central Alabama] two weeks when an employee came in to tell me about illegal activities in the kitchen, and he stopped right there and he said, 'But if you're not going to do anything about it, I'm going to keep my mouth shut, otherwise I become the target,'" says retired U.S. Army Col. Cynthia Chavez. In June 2014, she was hired to lead Nutrition and Food Services for Central Alabama's VA. She soon found that both the Montgomery and Tuskegee hospital kitchens — especially Tuskegee's — had serious, systemic problems. Some employees, she says, routinely came in late, left early or didn't show up at all. One, she says, would openly drink on the job. That employee once told a Veteran in a PTSD program, " 'I'll give you the bullet to put in the gun to shoot yourself,' " she says. Remarkably, that wasn't the worst of it. "She was using government employees, government food, on government time, for her catering business," Chavez says. "She was selling it [food] through her catering business" to area companies and churches. "And so when I did my due diligence, sure enough, she couldn't answer questions about how she'd catered this event and yet she was on duty." One Valentine's Day, for example, a case of steaks and cheesecakes meant for a special hospital meal for Vets went missing. Several co-workers told Chavez the thievery had been going on for years. Chavez was shocked and moved quickly to investigate and temporarily suspend the employee, emails and documents show. She also imposed stronger discipline and order on a hospital kitchen she says "was like the Wild West. They [employees] did what they wanted to." All the food in the kitchen is from appropriated funds meant only for Veterans in hospital treatment. "Myself, as a 30-year Veteran, I couldn't even eat there." Soon after, Chavez got the first of many anonymous-threat letters slipped under her Tuskegee office door. "This isn't the Army, where you had connections. This is the VA and we will get you," one letter said. Following an almost classic whistleblower retaliation script, instead of support, Chavez was soon investigated for "abuse of authority" and "creating a hostile work environment." The union, Tuskegee AFGE Local 110, quickly announced it had taken a vote of "no confidence" in Chavez. In fact, Wiggins then took charge of all discipline and oversight of the VA's troubled hospital kitchen. She also stripped Chavez of all the authority and oversight she had been hired to impose on the department. The reason given, emails and documents show, was Chavez's "inappropriate disciplinary actions" against the food service staff. When a local union official complained that Chavez was issuing what he called "unsubstantiated" AWOLs, or absent without leave sanctions, Wiggins — then serving as acting director of CAVHCS as well as head of VISN 7 — emailed Chavez: "This is a very disturbing email" about what "may be a problem practice" of issuing AWOLs. "So until further notice," Wiggins wrote, "there are to be NO AWOL's issued until I review them." "I am trying to hold employees accountable and all I get is pushback through anonymous letters," Chavez says. "And even when HR was saying, 'No, she's justified in what she's trying to do,' they would not let me take any discipline against anything that the employees were doing." This past January, Chavez's boss and Central Alabama's director, Linda Boyle, emailed her: "The decision has been made to terminate you effective January, 30, 2018." Chavez's request to be allowed to retire at the end of March and to use her remaining sick leave to help her husband was denied. She reluctantly retired. Despite several Freedom of Information Act requests, Chavez has never seen details of the charges brought against her in what's known as an Administrative Investigation Board (AIB). The woman who was allegedly stealing food from Veterans for years through her side catering business? She was allowed to retire with full benefits. There's no indication she was ever disciplined by the VA or the local union. Neither Wiggins nor Boyle would comment on Chavez's case or the wider pattern of retaliation. "I was absolutely shell-shocked," Kassner says, "and initially my thinking was, 'Well, I have no idea what this is about, but hopefully it'll get sorted out in a day or two.'" He immediately sent a letter requesting clarification as to what exactly he'd been accused of and an opportunity to respond. To be closer to his family in neighboring Florida, Kassner's contract allowed him to read medical images remotely part of the time, a common practice in radiology. The Montgomery leadership began to use that telework agreement against him and ordered him on site full time. But he wasn't. Audio of a meeting between two HR officials in Montgomery and Dr. Randall Weaver, then the acting chief of staff at the hospital there, describes the VISN leadership's alleged view of Kassner. "The thing for him, because of his situation where they're gonna — people will be after you again no matter what you do, even if you sneeze wrong they're gonna get you," Weaver says. He adds that because of Kassner's brusque personality, "it's easy to get stuff on him," meaning to get people to turn against him. Weaver did not respond to NPR's request for comment. "That's what made me feel so sick to my stomach, I mean because that's all code for they're going to target him," says Walsh, who made the recording. She routinely taped meetings under a disabilities act health accommodation. Kassner was soon fired from CAVHCS. He was never given a reason. Documents show that the Alabama VA has stonewalled his attorney's efforts to uncover evidence. For Kassner, the audiotape, the emails and the scores of documents — all of which he has turned over to federal investigators — underscore what he and others call a deeply troubling "mafia culture" at CAVHCS and VISN 7 leadership. "Toxic, dysfunction and out of control is an understatement. There are people at the senior level there that consider themselves the equivalent of a 'made man' in the mafia, that there are no rules that apply to them up to and including fraud and record falsification," he says. "How this is allowed to go on is just mind boggling." His case may have another serious wrinkle. Kassner says he has evidence that his federal pay and employment records were altered by someone in Central Alabama. He says they falsely show he was "separated" from the VA before the end of his two-year probationary period, a key legal time frame for a federal employee because of work rules and benefit eligibility. They listed income after his probationary period, Kassner points out, as "deferred income" from a previous year. "It's record falsification pure and simple," he says. Remember Sheila Walsh, the head of the VA's Central Alabama human resources division? The CAVHCS and VISN 7 leadership went after her, too. After Walsh had told superiors, yet again, that the case against Kassner was legally and morally suspect, her supervisor Leslie Wiggins emailed her to "stand down." "I went on the record [with her supervisors] saying I'm not going to participate in this level of corruption, illegal actions," Walsh says. "And so I became the enemy. Instead of them investigating the wrongdoings, they started investigating me." "They wanted me to feel humiliated," Walsh says, "trying to break me down. And they did break me down." "It's a kind of psychological violence," she says, tearing up over the loss of her Army service mementos. "I feel violated. I feel like someone robbed me." CAVHCS has, so far, ignored her efforts to get those personal military items returned. She has even appealed to the House Committee on Veterans' Affairs to get her military items back. So far, there has been no action. These retaliatory tactics in Alabama follow a clear pattern: Employees who flag problems or wrongdoing are quickly counter-investigated — almost always charged with creating "a hostile work environment" or other vague charges. Then the employee is isolated – literally. "Basically we call it putting the whistleblowers in professional solitary confinement," says Tom Devine, legal director of the Government Accountability Project. He says it's a tactic long used by some VA managers to try to crush whistleblowers. "Keep them away from the evidence, make them pariahs among their peers. Make an example out of them. Generally the rooms where these people are assigned to bounce off the walls without duties are unheated in the winter and uncooled in the summer. It's like putting somebody in a hot box." The current director of Central Alabama's VA, Linda Boyle, also refused multiple interview requests through spokespeople. Jan Northstar, the VA's Southeast District public affairs director, said by email that they cannot discuss individual cases without written consent. She added the "VA does not tolerate retaliation. Any employee who feels he or she is experiencing retaliation should contact the Office of Accountability and Whistleblower Protection." Like Chavez, Kassner and scores of others we talked with in Alabama, former HR director Walsh has, in fact, filed formal complaints with the VA's own Office of Accountability and Whistleblower Protection, as well as with the federal Office of Special Counsel, the federal Merit Systems Protection Board and other offices. Walsh's doctor says she has a form of PTSD from the VA experience. The HR director remains out on unpaid medical leave after exhausting her annual leave. VISN 7's director Leslie Wiggins, in fact, has had numerous whistleblower retaliation complaints filed against her, including one by an employee in her immediate office in Atlanta. The federal Office of Special Counsel ruled against Wiggins and her office in a case that, as the Atlanta Journal-Constitution put it, showed that the Atlanta VA seemed more preoccupied with halting bad press coverage than stopping a series of Veteran suicides in the Atlanta area. "The leadership was not interested in my concerns and basically told me to mind my own business," Kendall says. When the charity story went public, the Atlanta management quickly gave him a bad evaluation, placed him on a performance improvement plan, and, following the pattern, isolated him in a small, shabby, vacant patient room while he was "investigated." "The entire leadership team knew that I was in that patient room for almost a year that could have been used for Veteran care," Kendall says, but "they were more concerned about retaliation than taking care of Veterans." Kendall fought back, filing for whistleblower protection. The federal Office of Special Counsel (OSC) investigated and ruled in Kendall's favor, saying he had been targeted and punished for speaking up. "Mr. Kendall did the right thing by raising concerns about an inappropriate expenditure of taxpayer dollars, but the Atlanta VA failed to heed his warnings and instead targeted Mr. Kendall," the Special Counsel's Carolyn Lerner wrote in the OSC ruling. Lerner added that "the VA must continue working to make its culture more welcoming to whistleblowers in all of its facilities." "They depend on the VA," he said. "So the very fact that we (Atlanta VA) have been cited for mismanagement that led to suicides told me that we needed to do something to make sure that that didn't happen again." Nearly a year ago, the VA reorganized the unit responsible for protecting workers who call out wrongdoing, waste, fraud and abuse. In that 11-month period, the new Office of Accountability and Whistleblower Protection (OAWP) has received 120 whistleblower complaints from VISN 7: the most complaints of retaliation per Veteran served of the department's 21 VISNs. Only VISN 22 (Southern California, Arizona and New Mexico) and VISN 8 (Florida, Puerto Rico and the U.S. Virgin Islands) had similar numbers, but both serve a larger number of Veterans. VISN 8, for example, had about 1.5 times as many completed Veteran appointments in 2017, according to the VA's own patient access data. Of those 120 complaints against VISN 7, 79 were determined to be of "reasonable belief" and 51 investigations were opened. It's exactly that investigatory boomerang, critics say, that highlights why the VA is so ineffectual at policing whistleblower retaliation. For example, emails from Walsh, the HR executive, show that during her last contact with OAWP, the office told her that her case was under investigation. But Walsh hasn't heard from OAWP in more than eight months. "No calls, no emails, no texts, nothing. It's like we don't exist," she says. The Accountability and Whistleblower Protection Act expanded the authority and support for the OAWP, the VA's office that now shares the bill's name. But a year later, there's skepticism the OAWP is living up to its name. "We've got a very sick organization. The important thing (for the VA) is to squelch the whistleblowers to speak. You know, it's like shoot the messenger because it's not the message we want to hear," says VA whistleblower Sheila Meuse, who has 30-plus years of federal service — almost all of it at VA facilities across the country. Meuse rose from a clinician to, in 2014, serving briefly as the third in command at Central Alabama. "I always had either outstanding or exceptional ratings," she says. "I can't remember any one rating ever that was below exceptional in my career history." VISN 7 was recently cited for failing "vulnerable Veterans" by not adequately providing and repairing wheelchairs and scooters for disabled service men and women. Also, in 2017 a Navy Veteran with dementia wandered away from the Tuskegee VA dementia unit. He was never found. "We were excluded, we were yelled at. I was detailed to another facility. I was met by nothing but retaliation, resistance and shunning," Meuse says. "It was just a horrible, horrible experience. Totally a nightmare." The Atlanta VA director launched an administrative probe of them. They were isolated and stripped of duties. Atlanta wanted to know if the two whistleblowers had behaved in a way consistent "with the VA's core values." Tremaine believes the genesis of CAVHC's deep problems "has a lot to do with nepotism and an overall lack of real commitment to fix things by a minority of people who've maintained control and leadership" despite numerous investigations and a flood of complaints. "We [whistleblowers] should really have a T-shirt that says 'I Survived CAVHCS.' "
Improving VA management and protecting workers who speak up was one of President Trump's campaign pledges. "Those entrusted with the sacred duty of serving our Veterans will be held accountable for the care they provide," the president said at a VA reform bill signing ceremony last year. "At the same time, this bill protects whistleblowers who do the right thing. We want to reward, cherish, and promote the many dedicated employees at the VA."
"I don't think naming an office is how you fix an organizational culture that is really rancid and full of cronyism, favoritism; the old guard that takes care of themselves to maintain the status quo instead of caring for Veterans," she says. Many watchdog groups agree. The complaints about President Trump's newly created office include that it's understaffed and that investigations drag on. But the biggest critique is that the whistleblower protection office or OAWP can't really enforce its findings. "I've been impressed that the new OAWP is actually making a good faith effort. But they don't have any teeth to their good faith," says Tom Devine with the nonprofit Government Accountability Project. He says the office is staffed by people whose hearts are in the right place. But "until they get some enforcement teeth, all they are going to be is background noise. And right now the situation at the VA is, by far, the most intolerable in the [federal] government." Central to the problem is that whistleblowers' retaliation complaints can often end up being handled by the very people accused of doing the retaliation. In Alabama and Georgia, as we've shown, it's a common tactic to open up a counter-investigation of the worker who raises issues. That often includes nebulous charges that the whistleblower is creating a "hostile environment." "I haven't heard anyone tell me that when they've gone to this office of accountability that they've actually been assisted," says Jackie Garrick, the founding director of the independent group Whistleblowers of America. In a strongly worded letter, the VA's Inspector General (OIG) voiced deep concern that the OAWP is failing to turn over key records and information about the 150 to 170 employee retaliation complaints that office receives every month. The inspector general is the VA's oversight body tasked with audits, investigations and detecting waste, abuse and mismanagement. VA Inspector General Michael J. Missal wrote that "despite repeated assurances that these records would be made available, the OIG has not yet been provided this important information." Missal added that "it does not appear that an appropriate number of complaints have been referred to the OIG." Peter O'Rourke, the acting secretary of Veterans Affairs, who until recently headed the whistleblower protection office, fired back accusing the OIG of "abuse of authority" and mismanagement. O'Rourke said the OIG was "not performing its responsibilities in a fair and objective manner, which has caused significant harm to the reputation and performance of VA and its employees." Minnesota Democrat Tim Walz, a ranking member of the House Committee on Veterans' Affairs, blasted O'Rourke's letter to Missal, calling it intimidation and "not in the best interest of America's Veterans." In response to the dispute, VA spokesman Curt Cashour wrote that "giving the IG unfettered access to OAWP whistleblower case files could make whistleblowers vulnerable to retaliation, place a chilling effect on future disclosures and lead to the same sort of problems whistleblowers and the Office of Special Counsel have criticized the IG for in the past." Whether the VA can be fair and objective while investigating itself will be one key challenge for President Trump's pick to lead the VA, nominee Robert Wilkie Jr., who faces confirmation hearings later this year. The official, Darin Selnick, is a senior adviser to VA Secretary Robert Wilkie and has played a key role in developing the administration's controversial new rules on referring Veterans to private doctors. The proposal, announced last month, has drawn opposition from some lawmakers and Veterans groups. Selnick lived in Washington during a previous stint in the Trump administration, from January 2017 until March or April 2018, earning a $165,000 salary. He rejoined the VA in late October 2018 and started flying to Washington from California for two weeks out of every month, at taxpayer expense. Selnick's expenses included $3,885.60 for six round-trip flights in coach, $5,595.46 for 23 nights in hotels and $1,976 for meals, the reports show. The expense reports, which ProPublica obtained through the Freedom of Information Act, cover six trips between Oct. 21, 2018, and Jan. 19, 2019. “It is unclear to me what role this person has at the VA, and why the VA is paying so much for him to travel back and forth," House Veterans committee chairman Mark Takano said in a statement responding to the expense reports. “The funding allocated to VA should be used efficiently and effectively to provide benefits and health care for our Veterans." Several top Trump administration officials have faced scrutiny over their travel expenses. Government investigators have reviewed former Health and Human Services Secretary Tom Price's use of private jets, ex-EPA Administrator Scott Pruitt's first-class flights, and the president's own getaways to Mar-a-Lago, his private club in Florida. Like Selnick, outcoming FEMA Administrator Brock Long charged taxpayers for his regular trips home from Washington. Long, who agreed to reimburse the government after an investigation, resigned Wednesday. There's a long tradition in Washington of members of Congress and political appointees splitting time between the capital and their home states. Rules about what expenses the government will cover versus what must be paid out of pocket vary widely depending the person's role and responsibilities. Selnick's arrangement might violate the letter, or at least the spirit, of federal regulations, according to Walter Shaub, the former director of the U.S. Office of Government Ethics who has become an outspoken critic of the Trump administration. Ordinarily, an employee in the VA secretary's office would be based in Washington and therefore not entitled to paid travel to get there. However, the agency could cover Selnick's travel to Washington if his official work location, or “duty station," were in California. Then the question would be why an adviser to the secretary belongs 2,700 miles away. “It starts to look like they set his duty station in California just so he can have free flights," Shaub said. “It may or may not violate a specific rule, but it would be a management decision that could be called wasteful, and the inspector general would likely fault them for that." In the records released to ProPublica, there is a line on Selnick's travel vouchers that is supposed to specify his duty station, but it was left blank. Selnick declined to comment. Two top VA press officials, Curt Cashour and Susan Carter, didn't respond to e-mailed questions. Former VA Secretary David Shulkin was fired last year after the agency's inspector general said he misused resources on a trip to Europe. Shulkin disputed the inspector general's conclusions but agreed to pay back the government. Trump says he's “done more for the Vets than any president has done." But he has stirred anxiety over privatizing the agency's hospital system, and has given sweeping influence over the agency to three associates at Mar-a-Lago. Selnick has had extensive contact with the Mar-a-Lago trio: Marvel Entertainment chairman Ike Perlmutter, West Palm Beach physician Bruce Moskowitz, and lawyer Marc Sherman. In emails obtained by ProPublica last year, Selnick said he valued Moskowitz's input more than the views of VA experts. Selnick also assisted Moskowitz's push for the VA and Apple to adapt an app that Moskowitz developed for finding nearby medical services, according to the emails. Selnick is a prominent critic of the VA's government-run health system. In between his time in government, he has worked for Concerned Veterans for America, a political group funded by conservative billionaires Charles and David Koch that has advocated for expanding private care for Veterans. In 2016, Selnick signed onto a report that called the VA “seriously broken" with “no efficient path to repair it" and proposed shifting all Veterans to the private sector. “Darin Selnick should not be diverting money from the VA to fund his bicoastal crusade to privatize and destroy the VA," J. David Cox Sr., national president of the American Federation of Government Employees, the union representing VA staff, said in a statement. “It's time for Mr. Selnick to come clean about his shadowy ties to unelected Trump advisers who are trying to dismantle the VA, as well as his cozy deal to commute across the country at taxpayers' expense." 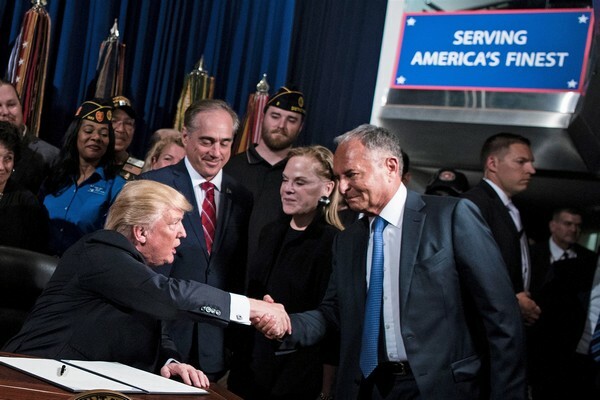 Perlmutter, Moskowitz and Sherman have denied seeking to dismantle the VA.
Last year, while working in the White House, Selnick negotiated with lawmakers on legislation to overhaul the VA's programs for referring Veterans to private doctors. Selnick pushed for the VA to establish rules, known as access standards, that would automatically make some Veterans eligible for private care. Selnick then took a leading role in formulating those access standards: He reported directly to WIlkie and sat on an “executive steering committee" in charge of implementing the new legislation, according to an organization chart obtained by ProPublica. But his name disappeared from the chart when the VA provided a version of it to Congress at a December hearing. Selnick has not participated in any briefings with lawmakers or Veterans groups. The access standards that the VA proposed last month are poised to dramatically expand the pool of Veterans who could obtain private medical care at government expense. But the agency has offered few details on how many Veterans it expects will shift to the private sector or how much that will cost. Key lawmakers from both parties scolded the VA for its secrecy and asked for more information about the plan's development and impact. In response to Selnick's expenses, Sen. John Boozman, R-Arkansas, said lawmakers will scrutinize the VA's use of taxpayer funds, while recognizing that the secretary is entitled to some discretion over his staff. “It's important that Secretary Wilkie has trusted advisers implementing VA programs," Boozman, who sits on the Senate Veterans affairs panel and chairs the appropriations subcommittee responsible for the VA, said in a statement. “We will continue working as a committee to provide oversight and closely monitor how VA is spending its resources to ensure the success of its initiatives." Regulators cited Arkansas' new state-run nursing home for Veterans last month for the most severe level of violations, related to the verbal and possible physical abuse of clients at the facility. Surveyors from the state Office of Long Term Care documented -- through facility records, interviews and physical evidence -- that the Arkansas State Veterans Home at North Little Rock's lax reporting and investigation procedures put residents in immediate jeopardy of serious injury, harm, impairment or death. However, the Arkansas Department of Veterans Affairs intends to appeal the findings, saying in a statement that they may have been "tainted." Federal regulators intend to fine the facility more than $96,000 for the infractions at a time when the facility has struggled to make ends meet and hire and retain its staff. Inspectors reported that the facility allowed a nursing assistant to continue working after the facility administrator determined that she had verbally abused a resident in September, according to a violation report, obtained through a public-records request. The same nursing assistant was accused of physical abuse last month after a Veteran was found with bruises on his face, but the facility failed to report the incident to the Office of Long Term Care as required by law, the report states. Surveyors also faulted the facility for allowing a Veteran with Alzheimer's disease to wander away from his cottage. Facility leaders acknowledge the incident, but they plan to dispute the other findings. In a statement, the agency said it's taking the findings seriously, implementing new training and processes and adding staff to investigate the findings and monitor corrective actions. The department has requested an "informal dispute resolution" with the Office of Long Term Care to discuss the abuse findings. "In accordance with reporting instructions, [Arkansas State Veterans Home at North Little Rock] has asked for an Informal Dispute Resolution meeting with the Office of Long Term Care to review these findings as they have significant reason to believe the findings may have been tainted by misrepresentation of material facts and other irregularities," the statement said. Asked to expound on the misrepresentation of facts and irregularities, a spokesman declined to elaborate because the matter is under appeal. The Centers for Medicare and Medicaid Services reduces financial penalties by 35 percent if facilities waive their appeal rights. It's unclear if an informal dispute resolution amounts to an appeal under the center's rules, and a spokesman for the Office of Long Term Care didn't respond to a question on the matter Friday. Additionally, the facility has uncovered 10 "events" that occurred between Dec. 21 and Jan. 1 that weren't reported to the nursing home regulators. The facility's administrator, Lindsey Clyburn, was asked to resign Dec. 31, but agency officials haven't said why. "Within 24 hours of discovery, the appropriate notifications were made and all the incidents are under continuing investigation," the agency said in a statement. "As part of the investigation, subject matter experts from the Arkansas State Veterans Home-Fayetteville, multiple state agencies, the Arkansas Health Care Association and other consultants are assisting in accessing current practices and drafting Plans of Correction for discovered deficiencies." Since Clyburn's ouster, the interim administrator has been Gina Chandler, who usually heads the agency's Veteran service officer division. Last year, Gov. Asa Hutchinson asked Arkansas Department of Finance and Administration Deputy Director Paul Louthian to oversee the home because of its financial hardships. Louthian, in an interview last week, said that several potential administrators were being interviewed Friday. He acknowledged the home's staffing struggles (10 nurses have resigned or been terminated since March), but he said they'd hired some good nurses recently that he expects to make a positive difference. The home has also recently created a new position, adding a nurse practitioner to boost patient care. Louthian and agency officials couldn't say what the home's monthly financial deficit is because they say they don't have time, given the short staffing, to compile those reports. However, he expects to begin accepting more residents soon in hopes of beginning to break even later this year. "The issue we've had surrounding management and workforce has kind of held us steady, and the census has been that 76-77 number for a few weeks if not a few months," Louthian said. "We've told the governor's office that we can add a couple of people a month for the rest of the fiscal year. If we can get up to [the] upper 80s, we'd be real close to breaking even." The state-of-the-art facility was the first Veterans home built from the ground up for that purpose in Arkansas. 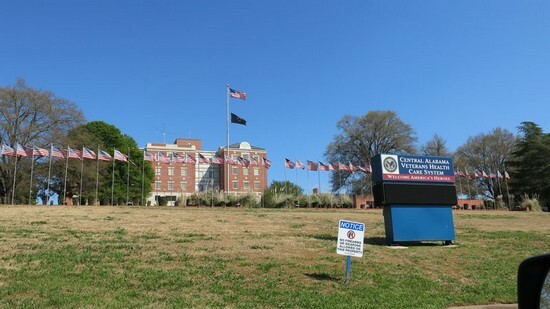 The Arkansas State Veterans Home in Fayetteville is in an old hospital. 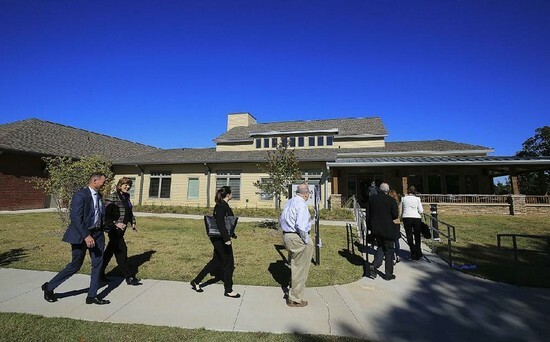 The North Little Rock home, which opened in 2017, has a 96-resident capacity and uses a "small-home design." The facility consists of eight cottages that are designed to feel more like private homes and less like a traditional nursing home. That approach is expensive and requires more staffing compared with institutional-style long-term care settings. The agency has also been underbudgeted, and it has requested $2.2 million in state rainy-day funds to make ends meet over the past two years. According to the survey report, in October, several nursing assistants and nurses told investigators that a nursing assistant got into several verbal altercations with an elderly Veteran on the night of Sept. 30. Everyone interviewed by state inspectors, except the accused nursing assistant, said the yelling amounted to verbal abuse. Clyburn, who was still administrator, recommended firing the accused nursing assistant, according to the report, but that never happened. A home spokesman, citing the appeal, declined to say why Clyburn's recommendation wasn't followed. Surveyors began investigating the same nursing assistant in January after the Office of Long Term Care received a complaint that she physically abused a resident. The resident was found with bruises all over his face after he had been alone in his room with the nursing assistant, the report states. The assistant told investigators that the resident hit himself while she was helping him bathe, the report states. The nursing assistant remains employed at the home, according to a spokesman. The straying incident happened Jan. 8. A resident left his cottage without the knowledge of the nursing staff around 7:30 p.m. He was found roaming near the campus gate by a nursing assistant from another cottage on her dinner break, according to the report. When she returned the Veteran to his cottage, the staff was unaware he'd left. The report notes that the door alarm had been turned off. "These findings are a salient event for the home and current leadership are taking swift action to correct practices and institute new processes to prevent future occurrences," the agency said in a statement. SPRINGFIELD, Ill. — Gov. J.B. Pritzker has appointed a state lawmaker as director of the state’s Veterans Affairs department after his first choice stepped down. 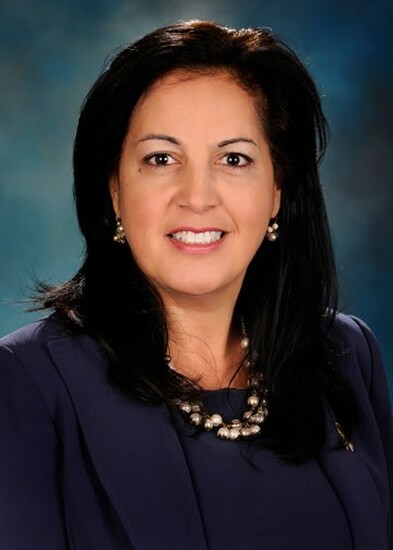 The Democrat on Friday named state Rep. Linda Chapa LaVia. The former Army officer was named in place of Army Lt. Col. Jaime Martinez. Pritzker tabbed Martinez for the job Jan. 31. The governor’s office did not say why Martinez withdrew from consideration. The 52-year-old Chapa LaVia joined the House of Representatives in 2003. She was the first Latina outside Chicago to be elected. Since 2009 she has been House Veterans Affairs Committee chairwoman. She was a vocal critic of former Gov. Bruce Rauner’s administration for the way it handled a deadly Legionnaire’s disease crisis at the Quincy Veterans’ home. LaVia’s appointment must be confirmed by the Senate. The U.S. Digital Service and the Department of Veterans Affairs launched an effort in March 2018 to redesign and streamline the VA.gov site. They didn’t change much actual content, but instead reorganized and reframed web pages to make it easier for Veterans to find the information they needed. The project was completed in November 2018, and customer satisfaction with the altered web pages increased over 20 points in the months that followed. “The satisfaction went from a 55 to a 67 essentially overnight by providing customization, plain language, one version of any of the content or one version of the tool people were trying to get to, and overall people were much, much happier,” Chris Johnston, product manager of digital service at VA, told Federal Times. According to Marcy Jacobs, executive director of digital service at VA, that increased satisfaction also led to more Veterans using online services, which both makes their lives easier and saves the agency money. “Aggregating that information and making it easier for people to find without changing the healthcare application — years ago we redesigned the healthcare application but we didn’t do that on this launch, we just put it front and center on the homepage — that increased the traffic to the healthcare application by 52 percent,” Jacobs told Federal Times. Use of online forms for education benefits jumped by nine percent. “In the private sector even just nine percent, let alone 50 percent increase overnight in any transaction you were trying to improve, would be monumental,” said Johnston. The project organized the many benefits Veterans receive into eight content areas — healthcare, disability, education and training, careers and employment, pension, housing assistance, life insurance, and burials and memorials — plus a records section that helps Vets find out what information the agency has on them. The site also gave users the ability to change their address information online, which could previously only be done over the phone. “You take people out of the call center lines, people who don’t want to call somebody but want to go just update their address online, which they previously couldn’t do but now they can do. That’s been the No. 2 called about thing. Maybe that’s a short call and it only costs $8, maybe, but those were people that were getting out of that line, and to do it online, self-service is pennies,” said Jacobs. According to Jacobs, the agency wastes a lot of money on unopened mail, approximately 40 percent of which is sent to the wrong address. Making it easier for someone to update their address themselves may significantly cut into that number. Compared to most government software projects, the redesign of VA.gov was relatively fast — approximately eight months — and relied on a team of about 40 to 50 people at its largest, a small number compared to the 7,702 employees in the VA office of information technology. The project in total updated 200 to 300 of the site’s approximately 2,000 web pages, but that narrow focus was the key to its success. “I think that’s something that a lot of agencies struggle with, is that they try to do everything at once, they try to do too much at once. And I think that they end up going a mile wide and an inch deep, and they end up delivering nothing,” said Jacobs. According to Johnston, part of the problem is that the government’s mentality about building stuff is better suited for physical objects than software. According to Jacobs, USDS is one of the few government organizations taking such an approach to software, but their work is applicable across nearly all government agencies. The team is now planning to get to work on other pages of the website, improving the user portal and potentially creating a system that pre-fills forms for service members transitioning into Veteran life. 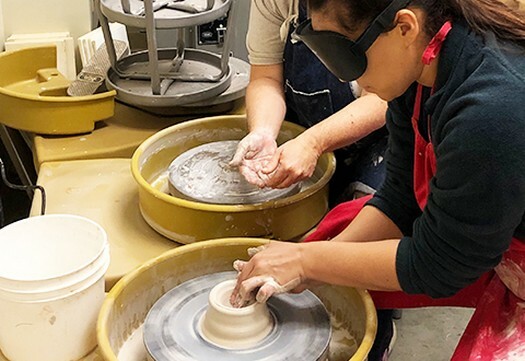 Can you imagine yourself blind and making pottery? How would you feel? How would you do it? Would you be able to walk on a straight line if you could not see? Change a light bulb? Cook? VA Long Beach’s Blind Rehabilitation Center (BRC) invites you to experience the world of blindness and visual impairment, and learn how it has been helping those without vision remain independent. With proper training, blind and visually impaired individuals can perform most, if not all, our daily-life activities. During our BRC Open House, you will have the opportunity to wear google simulators or blind folds and walk the Center’s corridors with the help of a guide dog or a staff member. You will also be able to make pottery without the help of your eyes, and check out the latest interactive assistive technologies. Blind Veteran musicians will play, light refreshments will be served, and prizes will be drawn from a raffle at the end. The Open House will take place on Thursday, March 7, 2019, from 10:30 a.m. to 2 p.m.
VA Long Beach’s BRC is located at 5901 East 7th Street, building 165, in Long Beach, California. 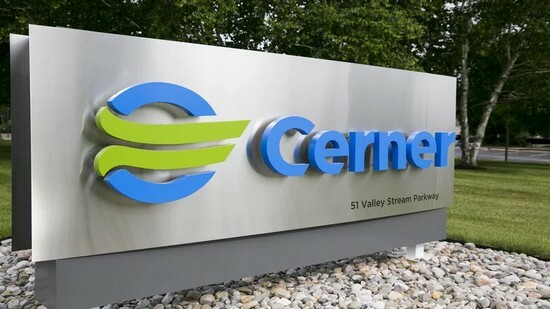 Cerner Corp.'s president of government services provided updates on its contracts with the U.S. Department of Defense and the U.S. Department of Veterans Affairs at an investor conference Wednesday. Travis Dalton said the North Kansas City-based health IT company (Nasdaq: CERN) had learned several lessons from the DoD project that it will apply to the VA contract. Cerner is implementing its electronic health record system, MHS Genesis, as part of a $4.3 billion contract it and Leidos Holdings Inc. (NYSE: LDOS) were awarded in 2015. The DoD increased its budget by $1.2 billion in July 2018. Leidos is the prime contractor for the DoD project, with Cerner the subcontractor. The roles are reversed with the VA contract. With 70 percent common capabilities with the VA, Dalton said DoD's system will form the baseline for the VA's EHR. Cerner secured a $10 billion contract for a 10-year implementation of its EHR program with the VA in May. The cost grew to $16.1 billion in part because the VA failed to budget for the cost of government employees. The VA's EHR will have 30 percent more capabilities than its counterpart, including cardiology and long-term-care features, Dalton said. Cerner also is providing programs for the VA that it hadn't for the DoD, such as a comprehensive workflow-based training program focused on user capability. The company also will provide a help desk. The DoD will deploy MHS Genesis in 23 waves. Dalton noted that the first set of Initial Operating Capabilities (IOCs) have been live more than two years and that Cerner is pleased with the progress, estimating contract completion in 2025. The VA will deploy its EHR in 47 waves. Its first IOCs will go live during the first half of 2020. Wave deployment will be more aggressive than the DoD, with an estimated contract completion in 2028, Dalton said. Cerner has established 18 EHR councils made up of "industry experts" to support standardized workflows. Cerner has completed seven task orders with the VA, he said, and the revenue from the $10 billion contract will trickle in as tasks are completed. Dalton also told investors Cerner was "trying to change the narrative a bit" around the topic of the VA.
"We tend to talk in terms of APIs and interoperability, but we want to be talking about chronic condition management and curbing opioid abuse, suicide prevention," Dalton said. Congress has expressed concern about the interoperability of EHR systems between the VA and DoD, as well as between the VA and community providers — a key component to the success of the VA's EHR modernization. Dalton characterized the environment around Cerner's government services as constantly changing because of political cycles, budget changes and turnover. "We have to continually express the value of the program and why we're doing this," he said. "I call that putting Kevlar around the program. I think it's important we sell the value on a continual basis." The DoD has 9.4 million eligible beneficiaries, and the VA has 9.12 million total enrollees in its health care system. 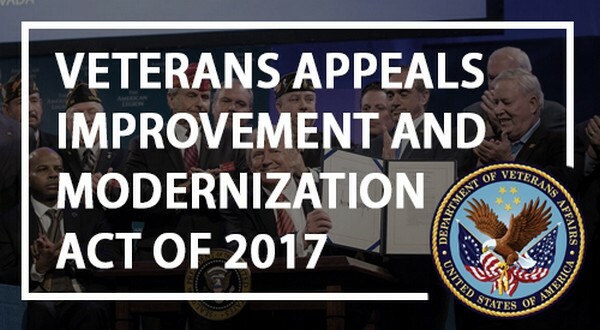 Today, the U.S. Department of Veterans Affairs (VA) announced it will discontinue the Rapid Appeals Modernization Program (RAMP), which provided eligible Veterans with early resolutions to their appealed claims, ahead of full implementation of the Veterans Appeals Improvement and Modernization Act of 2017 that takes effect Feb. 19, 2019. VA will not accept RAMP elections from Veterans with a legacy appeal after Feb. 15, 2019; however, RAMP claims pending on or after Feb. 15 will continue to be processed until the inventory is complete. Beginning Feb. 19, Veterans who appeal a VA decision will have three decision review choices: Higher-Level Review, Supplemental Claim, and appeal to the Board of Veterans’ Appeals. VA will now offer Veterans greater choice in how VA reviews their claim is committed to ensuring the claims process is accurate, timely and fair. VA initiated RAMP in November 2017 to provide some of the benefits of the new law’s streamlined process before full implementation. Participation in RAMP is voluntary. 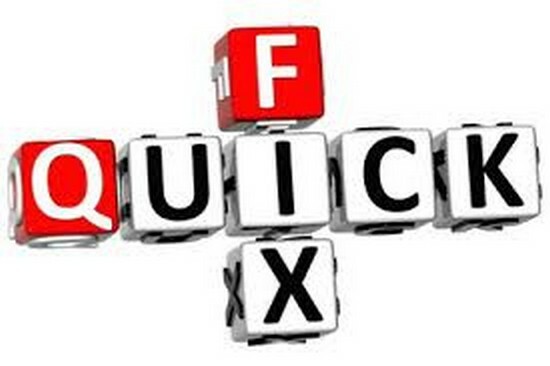 However, processing times under the program have been faster than legacy appeal processing times. Under the legacy process, decisions currently average three to seven years. Veterans who have a legacy appeal after Feb. 15 will be able to opt in to the process when they receive a Statement of the Case or a Supplemental Statement of the Case after the new law is effective Feb. 19. Veterans who participate in RAMP can choose to have their VA decision reviewed in either the Supplemental Claim or Higher-Level Review lanes. In the Higher-Level Review lanes, a more experienced adjudicator will conduct a new look at the previous decision based on the evidence considered in the previous decision. Participants who select the Supplemental Claim option may submit new and relevant evidence, and VA will assist in developing new evidence under its duty to assist. VA’s goal is to complete Supplemental Claims and Higher-Level Reviews in an average of 125 days. For more information on Appeals Modernization, visit benefits.va.gov/benefits/appeals.asp and www.bva.va.gov/. Three men "ostensibly used their wealth and connections to President Trump and his family to make decisions" for the VA, according to Rep. Mark Takano. The chairman of the House Veterans’ Affairs Committee announced his intention to open an investigation in how three men "ostensibly used their wealth and connections to President Trump and his family to make decisions" for the Department of Veterans Affairs, according to a letter he sent to the agency on Friday. Rep. Mark Takano, D-Calif., the chairman of the committee, requested documents, communications and telephone records between VA officials and Marvel Entertainment Chairman Ike Perlmutter, Palm Beach doctor Bruce Moskowitz and attorney Marc Sherman. His letter was addressed to VA Secretary Robert Wilkie. The three men allegedly formed an informal council that oversaw sweeping changes of the Department of Veterans Affairs, according to an August 2018 Pro Publica report. “The Committee on Veterans’ Affairs is opening an investigation into this relationship so that Congress, Veterans, and the American people can better understand the scope and nature of this relationship between the Department and these individuals who have not served in the U.S. military nor U.S. government, and are not accountable to Veterans and the American people,” Takano wrote in the letter. Released Friday, the letter also outlined 20 different requests for documentation of interactions between the three men and VA officials. Perlmutter, Moskowitz and Sherman responded to the allegations in a shared statement first obtained by the Wall Street Journal and later received by NBC News. They pushed back on the allegations that they had any untoward influence on the VA and added that they had nothing to hide. They said they were simply asked by Trump, former VA Secretary David Shulkin and the secretary's senior staff to weigh in on the agency's services and assumed that VA officials would make their own judgments. "Our only goal was to help improve Veterans care," the men said in the statement provided through a public relations firm. "We didn’t seek or receive any personal or financial gain. We never imagined that volunteering our personal time to improving Veterans’ healthcare would open us up to criticism. In hindsight, it is clear we underestimated the coarseness of an environment in which even well-intentioned efforts can be twisted to fit pre-conceived narratives." Curt Cashour, press secretary for the department of Veterans Affairs, said in an email that the agency had been “transparent on its communications with these three individuals,” noting that VA officials had responded to numerous requests filed under the Freedom of Information Act that they later shared with Congress. “Although his predecessors may have done things differently, Sec. Wilkie has been clear about how he does business. No one from outside the administration dictates VA policies or decisions – that's up to Sec. Wilkie and President Trump. Period,” Cashour wrote. He then referred further requests for comment to previous VA leaders and later sent an excerpt from a Friday Wall Street Journal article that asserted that former VA Secretary David Shulkin had created private email accounts to correspond with the three men. Cashour previously worked for Shulkin, who did not respond to a request for comment. NBC News has not independently confirmed the Wall Street Journal’s reporting. Investigating any untoward influence that the three men may have had was a priority for Takano and the Democrats as they took control of the committee. The information gathered is expected to inform whether they call a committee hearing and use their subpoena powers to compel current and former officials as well as the three men to testify. “It’s important for the chairman for this to be a methodical process, that it is fair, that it is bipartisan to the largest extent possible,” said Miguel Salazar, the committee’s spokesman. But Republicans on the traditionally bipartisan committee did not appear to be happy with the decision. Rep. Phil Roe, R-Tenn., the ranking member of the committee, said his focus would be on Veterans’ services and implementing the bills passed in the last Congress. The 12 senators — 11 Democrats and one Independent — sent 24 questions to VA Secretary Robert Wilkie about his proposed rules stipulating when Veterans will be allowed to receive private-sector medical treatment – changes that he said would revolutionize the VA health care system. The senators complained Wilkie released the rules last week “before engaging in meaningful consultation with Congress” and Veterans organizations. Under the VA’s draft rules, Veterans who must drive more than 30 minutes to reach their VA mental health or primary care providers — or wait longer than 20 days for an appointment — would be allowed to use a private doctor. “Once briefed, we were disappointed that VA couldn’t provide basic information on how the proposed wait and drive-time standards would affect the department, the Veterans who rely on it for care, and the American taxpayer,” the senators wrote. They asked Wilkie for his reasoning behind the rules, including the data that he used and any input from private entities. They also wanted to know cost estimates and budget plans, as well as how many more Veterans would be eligible to receive private-sector care under the new rules and whether the VA would need to hire more staff to schedule appointments with private doctors. Previous pleas to receive the information have been “met with silence,” the senators wrote. On Monday, Republican and Democratic leaders of the Veterans affairs and appropriations committees sent an initial letter to Wilkie urging him for a more collaborative relationship with Congress. Last week, some lawmakers and Veterans organizations expressed worries the rules could expand Veterans’ care too far into the private sector and erode VA resources. The senators wrote Wednesday that the VA has shown “apparent indifference” about their concerns. In its statement Wednesday, the VA listed the number of congressional hearings, roundtables and briefings it participated in during fiscal year 2018. The agency conducted 1,302 congressional briefings, a 66 percent increase over the previous year, according to the statement. But as early as December, lawmakers have criticized the lack of substance at those briefings. Sen. John Boozman, R-Ark., told Wilkie at a public hearing Dec. 19 that the VA gave various congressional staff members different sets of information about the proposed private-sector care rules. Boozman is chairman of the Senate appropriations subcommittee that handles VA funding. Sens. 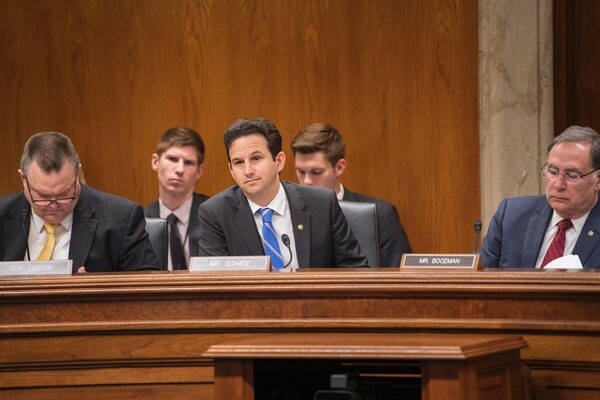 Brian Schatz, D-Hawaii, and Jon Tester, D-Mont., brought up the lack of transparency Tuesday during a meeting of the appropriations subcommittee. Tester said Congress needed more information about the access standards in order to fulfill its role of oversight. Schatz and Tester signed onto the letter Wednesday, along with Sens. Patty Murray, D-Wash., Patrick Leahy, D-Vt., Bernie Sanders, I-Vt., Jack Reed, D-R.I., Sherrod Brown, D-Ohio, Tammy Baldwin, D-Wis., Richard Blumenthal, D-Conn., Chris Murphy, D-Conn., Mazie Hirono, D-Hawaii, and Joe Manchin, D-W.Va. The senators asked for written responses from the VA by Feb. 22. In the meantime, the senators said the lack of information is worrisome. "We believe there is reason for alarm," they wrote. The VA plans to post the proposed rules to the Federal Register, where members of the public will be allowed to provide input. Under the law, the new rules for private-sector care must be finalized in March.